Jacob Campoamor took photos and recorded video of the sharks. He said his family was fishing for grouper 40 miles off the coast when he first spotted them. Campoamor says all of the animals were bigger than the 26-foot-long boat they were on. “We've seen dolphins and we've seen manatees and giant sea turtles. Never seen anything like a whale shark,” he said. 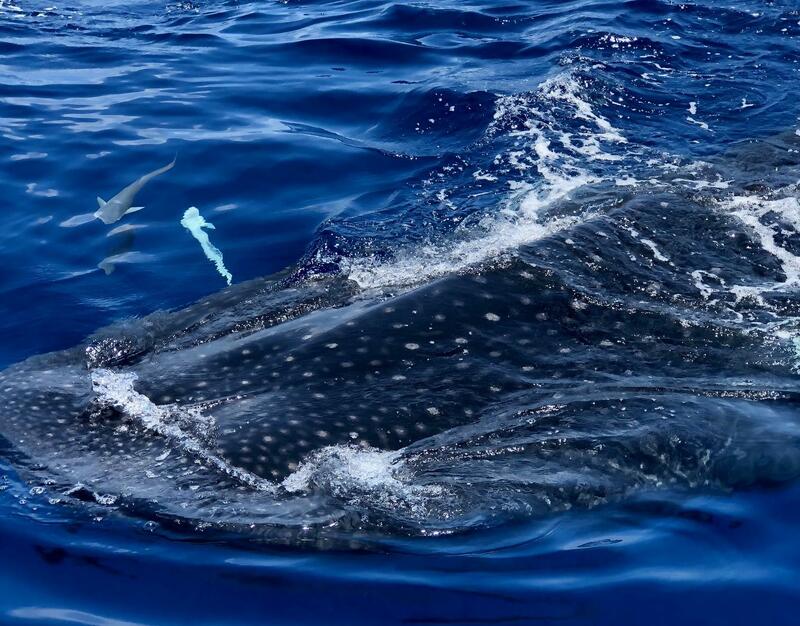 Robert Hueter, a scientist who runs Mote’s Center for Shark Research, said they have tracked down and tagged hundreds of whale sharks off Mexico's Yucatan Peninsula. They have then monitored those sharks regularly moving throughout the Gulf of Mexico, but they generally avoid visiting Florida’s west coast. He thinks this may be a consequence of one recurring event. Hueter said once his team tracks new whale sharks down, they will tag them for research and then release them. The tags monitor the sharks’ migration over six months. Mote scientists last spotted whale sharks in 2010 near Sarasota. Mote is asking the public to report sightings to Hueter at 941-302-0976. They asked to call from their boat or within 24 hours after disembarking.